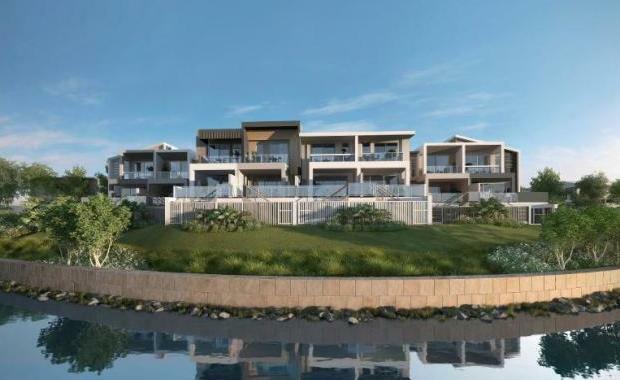 Robina Group has launched the penultimate stage of its $130 million Botanique Terrace Homes project early following $58 million in rapid sales. The company said the first two stages of 119 homes sold-out in a matter of months, with construction of Stage One now underway and due for completion mid next year. Stage three of Botanique has been launched, featuring 55 dual-level three bedroom plus media room homes, ranging from $550,000 to $575,000. Robina Group sales manager Azura Griffen said Gold Coast City residents and interstate buyers had shown great interest in Botanique. "Botanique is a truly unique offering," she said. "The freehold aspect, with no body corporate fees, is rare for a development of this design and quality, and adds to the appeal of the location and lifestyle on offer. "More than half of the project will be dedicated to green space, with a 6.7 hectare parkland built into the masterplan, complementing the neighbouring planned Gold Coast City Council 3,500 hectare Green Heart urban park. ""We have also just received approval for a community produce garden to be incorporated into the extensive parkland, which will further enhance Botanique's appeal for those wanting to grow their own vegetables and herbs. "Botanique is part of a $1 billion pipeline of projects underway in Robina, adding to an already established mix of residential, retail, commercial and infrastructure development. On completion, Botanique will comprise 230 three-bedroom terrace homes, all on freehold title, on a 12.4 hectare Cheltenham Drive site, bordered by waterways, parklands and a championship golf course. The development is located one kilometre from Robina Town Centre.